1.5 unlimited cash back rewards. Besides cash rewards don't expire. There is no APR in first 12 months, after a year later APR is 15.99% to 26.99% depends on your creditworthiness. $200 cash bonus for $1000 purchase in first 3 months. 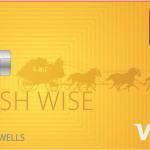 No annual fee for Wells Fargo Cash Wise Visa. Phone theft and damage protection. Zero liability protection. There is not any good services other than phone theft protection. 15.99% to 26.99% interest rate can be high if your credits is not good enough. Not good for bad credits. 3% foreign transaction fee at every purchases. %5 Cash Advance fee is a little bit high. You can find a detailed review for Wells Fargo Cash Wise card below. You can find our opinions for each facts of the card and you can also see user reviews below. Feel free to review this card and also ask questions about it. There is no APR for a year when you get this card. Phone protection feature is also a good features which can attract you to have this card. It worth about $600 insurance. There is $200 sign-up bonus available with Wells Fargo Cash Wise Visa. Regular APRs of the card is above the average. Cash Advance APR and all other rates are too high as well. Unfortunately there is foreign transaction fee of the card with 3% rate. This is a feature which we dislike. However if you don’t purchase from abroad or foreign online shops, you don’t need to worry about this. This feature only concerns those who are generally purchasing from abroad. Cash Advance Fee and Balance Transfer Fee are too high with 5% rate. These rates can affect your payment performance if you are planning to use this card for Cash Advance and Balance Transfer. This can even be higher than interest rates at times. We generally warn you about these fees at times. We recommend you to check better alternatives if you will balance transfer and cash advance. There is no annual fee of the card. This is one of upsides of the card. Generally credit cards in this category asks for annual fee more than $100. This is one of advantages of Cash Wise. So you should consider this fact if you want to get a cash back credit card. The card is providing 1.5% cash back for every purchases. This is the average amount for United States but if you need a credit card for every purchases, this card can be profitable for you. This card is generally good for general expenses. If you want to have cash back card for a certain category, you will need to look for an alternative one. However please also don’t forget that, there are more consumer friendly cards more than Wells Fargo Cash Wise at the moment. Regions Premium Credit Card is one of those cards with low interest opportunities and similar rewards points system. 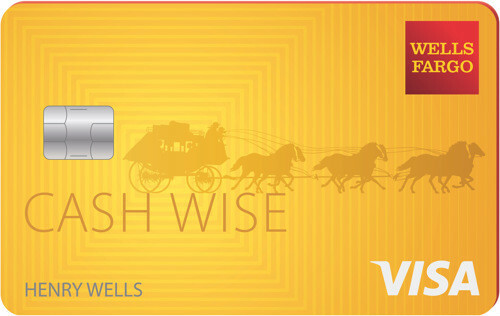 Wells Fargo Cash Wise Visa is very good for those who wants to have a cash back credit card. This card offering promising 1,5% cash back rewards for you. Your rewards will never expire until you cancel your card. However the card is not providing many services for Wells Fargo clients. You can also find more information about those in Wells Fargo Cash Wise Visa reviews below. If you would like do an online application, you can click on apply button above. You can see some user reviews below. You can also feel free to review to this card. User reviews are helping us to determine card rankings and scores. You can also help other consumers with fair reviews. I like the cash back opportunity of this card. It is providing much more bonus for me than regular APR. I wouldn’t worry about it.